I might often not be physically present in the church service, but does that really mean I am no longer part of the body of Christ? Haven’t you guys noticed I am missing? I guess I am not the “big toe or opposable thumb” I thought I was… more of an appendix or mole then, since no one has noticed I am not there, and no one is wondering why that is. I thought people knew me and that I enjoyed welcome and worship and prayer and prophecy and giving and listening and laughing and crying with others in the body of Christ, the family. In my own self-obsessed way, I wanted to be missed...for there to be a “Shona-shaped hole” in the service! When I could no longer make it to church, or made it only to parts of services and couldn’t stay to socialise, I thought lifelong church friends would realise I needed them and would ask how to still be a part of my life and let me be a part of theirs. It turns out they were all too busy to notice or remember...or they presumed, since I had never really been shy, that if I needed something I’d ask. As it happens, I hate asking for anything for me and desperately wanted ‘friends’ to work out on their own that I needed them…maybe everyone assumed someone else was doing it. Hello! My name is Shona. I have suffered from moderate-severe ME (also known as Chronic Fatigue Syndrome) for four years. Before falling ill, I was active in various roles in church life from kids and youth work to planning and running services, worship leading and leading a home group. I currently struggle with attending a full service and the socialising involved before and after a service due to the demands of loud noise, standing, singing, concentrating and responding to more than one person at a time. This means I have struggled to feel connected and a part of church life. It’s been a lonely few years away from active engagement in church and I have often felt forgotten by some of my good friends at church who just didn’t keep in touch when I wasn’t there. Honestly? I’ve been really, deeply, hurt and angry and felt so rejected and alone and forgotten for a while BUT a short while ago I decided to address the issue of church awareness of the challenges of chronic illness. I finally realised that it was very unlikely that I was deliberately forgotten and that maybe church friends just needed a wee prompt to know how to continue to help and love and support the injured among us… basically Christian folk are good hearted caring people aren’t they? I designed a short survey to gather messages we want the “well Christians” to know. I hoped as well to share what excellent and beautiful good practice is out there among churches who are excelling in pastoral care for members who struggle to physically attend. The one survey ​was for any individual Christians who live with Chronic Illness and I also designed a second survey to gather information from church leaders about any response to those in their church with Chronic Illness. My surveys are now closed but very soon similar surveys will be available on the Chronic Joy website and I would recommend everyone completing them as so many people found it therapeutic to have a voice! Chronic Joy plan to collect responses over a long period of time in order to gather data to present to the church worldwide to encourage thoughtful pastoral care. I imagine it will also be possible to find out how many people are feeling the same way or had similar experiences and it will also reassure us that we are not alone! In the few months my survey ran I collected 76 responses and have used them to design a leaflet to empower Christians with Chronic Illness in their interaction with churches. Often there is so much we want fellow Christians to know, but how can we prioritise and explain clearly, when even talking about out condition puts us under stress and exhausts us? This leaflet (PDF), with options to tick relevant boxes and personalise some aspects, is for you to pass on to friends, church leaders, etc in the hope that it will initiate and guide a conversation with your church which will result in you feeling more involved and remembered by your church family. Please do use and share freely, and if you adapt it then please send me a copy via email (my address is on the leaflet). I would love to hear about how it is received. Shona was born in the ‘60s to James and Jessie Herron in County Down, Northern Ireland in the middle of The Troubles and grew up in the Kingdom of Mourne with three older sisters and a younger brother. In a partisan community her parents crossed the divide between Catholics and Protestants in business and in friendships and raised the family to love their neighbours. Their home was a place of safety and support for many. Shona left for University in Manchester, England and never came home! She has lived there for 30 years with her husband Dave and they have a big modern family of children, stepchildren and grandchildren… her favourite thing is to be called “granny Sho”. Shona is a Teacher of the Deaf, a passionate advocate for the best for every pupil she taught and now a passionate advocate for the chronic illness communities, since developing M.E./CFS four years ago. I agree, Caz. It really needs to be addressed and Shona came up with a very practical solution. I hope that the Chronic Joy platform will be able to cast a wider net and get this project in front of many more eyes. I think the main problem is, regardless of religion, healthy people are simply ill-equipped to properly support chronically ill people and they need to be opening up the dialogue to help put systems in place. Shona; This is an excellent post. 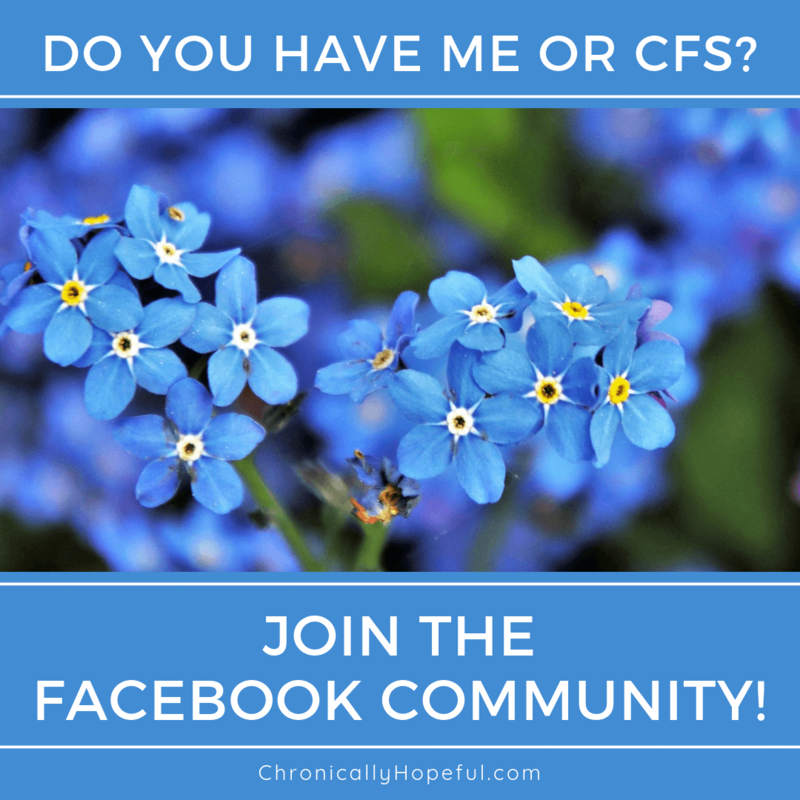 I am a pastor’s wife AND have chronic illness. Several years ago I did a series of helps for those in ministry. I wanted to have someone write something like this for chronic illness/ families with special needs / caregivers. It is definitely an area that many churches. miss the mark. Presently, I have a section in my blog called “Letters to Friends” -explaining fibromyalgia to friends and family. It is set up beginning with a question people ask Fibro Warriors and then a letter to answer the question. Something like this would be very helpful. If you would like to guest post contact me through the website. The information sheet is EXCELLENT. Most of what is shared is applicable to all families with illness, short or long and aging parents.They all seem to get forgotten.